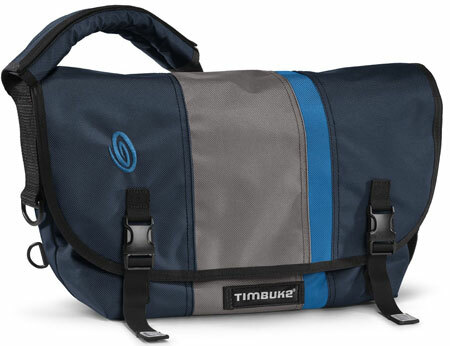 The Timbuk2 “Racing Stripe” messenger bag that I ordered and posted about last month has dropped in price again to $50. I’m really liking this bag thus far, although it’s sometimes a bit too large for my needs. The price was right – I paid $55, compared to the $100-120 Timbuk2 charges for their other medium sized USA-made bags. I’m using this bag as a general purpose work bag, and occasionally as a travel or gym bag, it really is that spacious.